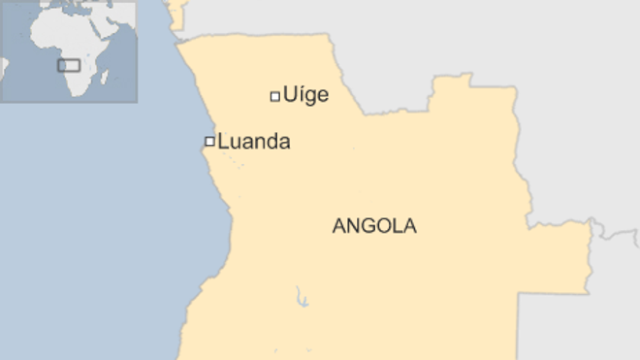 At least 17 people have been killed in a stampede at a football stadium in the northern Angolan city of Uige, local officials say. Hundreds more were reported to have been injured when supporters stormed the gates after failing to gain entry. Some of those who fell became trapped and suffocated at the venue on Friday, a medical official said. Santa Rita de Cassia were hosting Recreativo do Libolo in a first division league match. "Some people had to walk on top of other people. There were 76 casualties, of whom 17 died," Ernesto Luis, director general of the local hospital, told Reuters news agency. Five of the injured are reported to be in serious condition. Angolan and Portuguese media report that some of the dead are children. A statement on Recreativo de Libolo's website called it "a tragedy without precedent in the history of Angolan football". Supporter Domingos Vika, 35, said that the entrance was already overcrowded when more people began pouring in to the stadium. "When they gave the opportunity for everyone to come in, we were all packed at the gate," said Mr Vika, who left the venue with a broken hand. 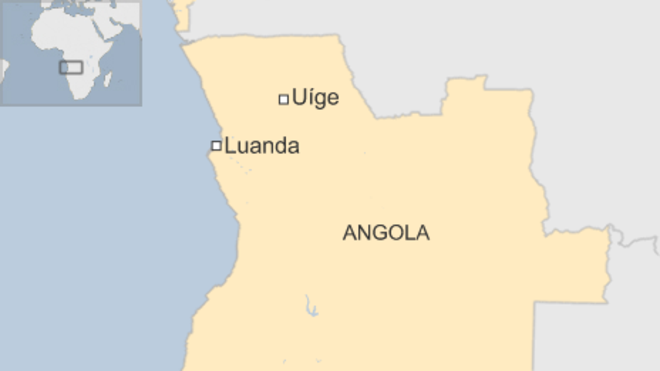 Angola's President Jose Eduardo dos Santos has ordered an investigation into the incident, local media report. The game ended in a 0-1 defeat for the home side, Santa Rita de Cassia.